Freddie Mole loves his family They are tight-knit, but they struggle day to day to make ends meet. Times are tough, and Freddie is determined to help. Then Freddie finds out about a job opening at a local circus--and he can't believe his luck when he is hired. At the circus, Freddie sweeps and cleans and is praised for his work. One thing leads to another, and he's asked to be understudy for some of the acts. 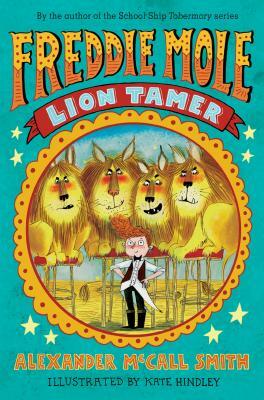 The trapeze stunts are daunting enough--can Freddie face the lion's cage? ALEXANDER McCALL SMITH is the author of the bestselling No. 1 Ladies' Detective Agency series. He has also written more than thirty books for younger readers, including School Ship Tobermory, The Sands of Shark Island, and The Race to Kangaroo Cliff, as well as three novels featuring the young Precious Ramotswe, one of the world's most famous fictional private detectives. Visit him online at alexandermccallsmith.com and on Facebook, and follow @McCallSmith on Twitter.